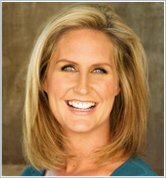 Heather Reider graduated from San Diego State University in 1989 with a degree in journalism. She enjoyed a 10-year career on air as a television news reporter and anchor, working for CBS, NBC, and ABC affiliates in the west. She covered historical events for CBS, including a live interview aboard Air Force One with President Bill Clinton. Heather is now back in front of the camera every Tuesday on KUSI, and she and Mary host a segment for busy moms on the 10 a.m. news program.